Using drones to support remote sensing data acquisition requirements might not seem like an application that is especially relevant in the context of first response, but the U.S. Department of the Interior (DOI) recently showcased just how essential the technology can and will be when it comes to monitoring emergency situations, spotting victims and dispatching manned vehicles to perform rescues in a quicker and more efficient manner. However, certain workflows need additional support. Mapping larger areas, or frequent site revisits, result in a massive amount of data collected, which in turn creates a data management headache. This is especially true for collection teams operating remotely and in situations where the collected data needs to be shared with a distributed team of analysts – either via a web-based sharing platform, or simple networked file share. Even short flights result in multiple GBs of data—the higher the camera resolution the greater the amount of data. Save storage space – users can collect more data without having to carry around additional storage. Easier data transmission – it takes less time and bandwidth for users to transmit that data over the internet. 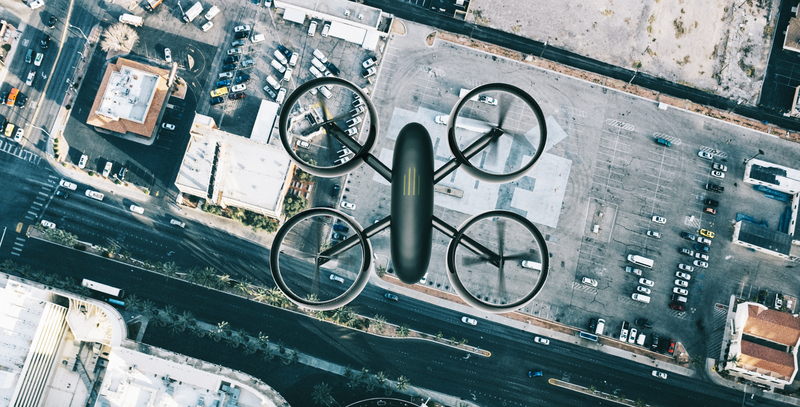 Our own tests conducted for product development reasons have produced remarkable results with drones and their high-resolution cameras, with MrSID compression ratios of up to 200 to 1 producing compressed images with little visual distortion from the original. Due in part to the high-quality nature of cameras in most mapping-grade drones, and the relatively low altitude of the flights compared to traditional aerial imagery, MrSID has the potential of taking files of multiple gigabytes down to megabytes. Of course, the higher the quality of the drone camera, the more you will be able to compress it without producing compression artefacts, or distortions. For instance, the imagery below was captured with a Trimble UX5 at 5cm resolution – and provided by our friends at CompassDrone. 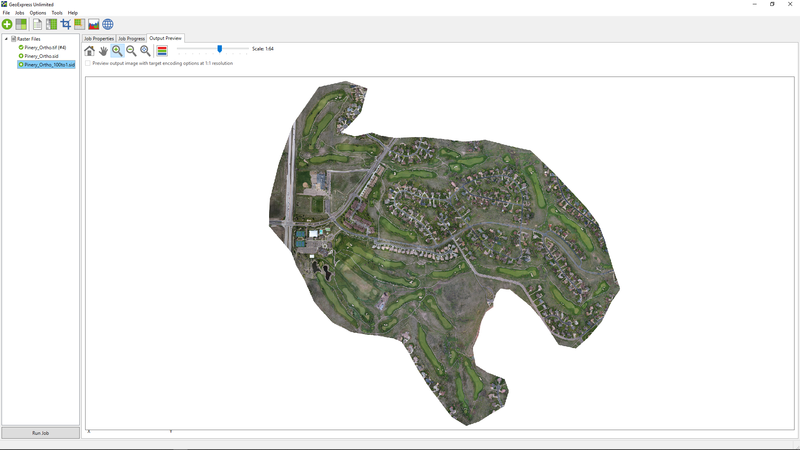 The image depicts an overheard of a golf course and residential community in Colorado. The image is a raw GeoTIFF of the entire captured area, at 4.7GB. 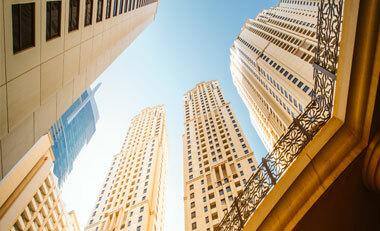 After compressing the entire image into a MrSID at 50 to 1 compression using GeoExpress, the file size is now 96.9MB. Despite being highly compressed, the clarity and quality of the image is unaffected, allowing me to zoom in and focus on specific areas and still see fine detail. So, while lossless compression is available with MrSID, compressing high-resolution drone images further to get to a filesize that supports your usage still provides you with data that appears similar to the original data. For instance, if I zoom into the original I can see very clearly the clubhouse, its parking lot, and adjacent tennis courts. And again, if I zoom into the 50:1 compressed MrSID at 96.9MB, I can still see the detail of the clubhouse and area around it. In fact, it looks almost identical. This image below shows the level of detail still achievable after I compressed the raw image at 150 to 1 compression, resulting in a file size of 32.3MB. 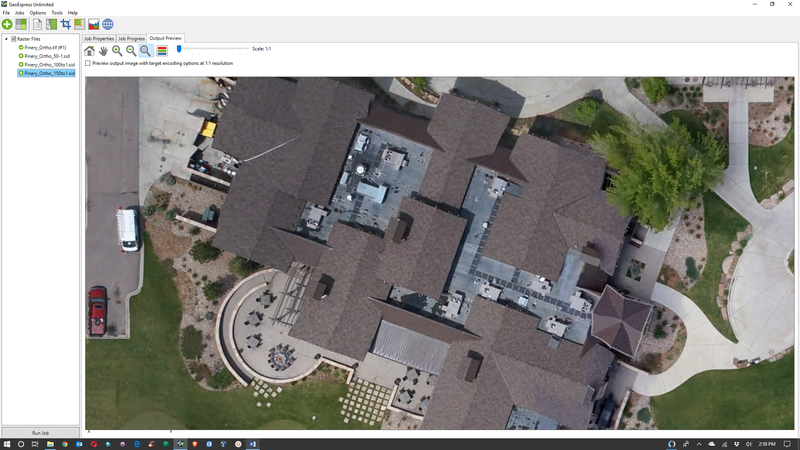 I zoomed in even closer to show the detail of the roofline of the clubhouse – including the rooftop air conditioning units which shows you the depth of detail you can achieve with a MrSID compressed file. 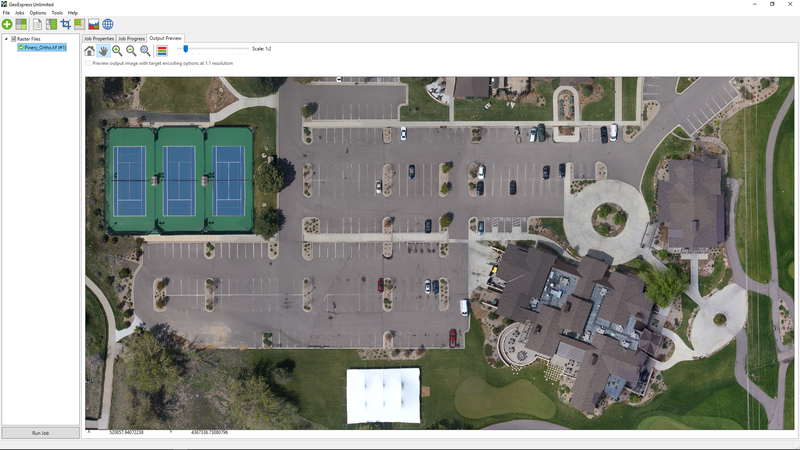 Using MrSID compression technology, your drone imagery can be more easily stored, managed, distributed, and shared. Moreover, these files can be compressed at a host of compression ratios to best support your needs for the file, while improving image performance, and preserving the ability to zoom in to still see fine details. MrSID is available in GeoExpress (as shown here), Portfolio, and SquishPic. To learn more about how Extensis solves our customer’s needs, check out our customer success stories. To learn more about GeoExpress, try a demo today! 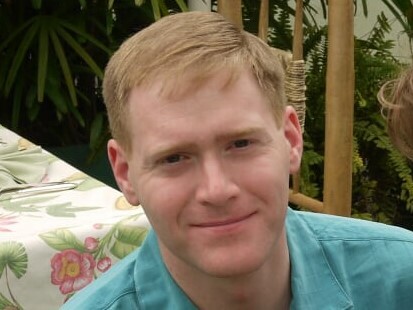 A geospatial professional with over 13 years in the industry, Jeffrey is passionate about helping customers overcome problems with creative solutions. In his role as Technical Account Manager, he helps Extensis’ customers maximize the value of their imagery and lidar management investments by finding new ways to get more bang from their buck. A resident of The Old North State, Jeffrey enjoys putting more miles on his old pair of Brooks, finding new uses for his wood-fired smoker, and brewing copious amounts of real ale.